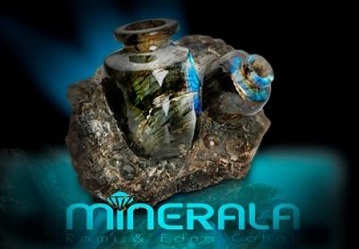 Minerala company was founded in 1961, and is the most experienced company in the gemstones sector in Israel. 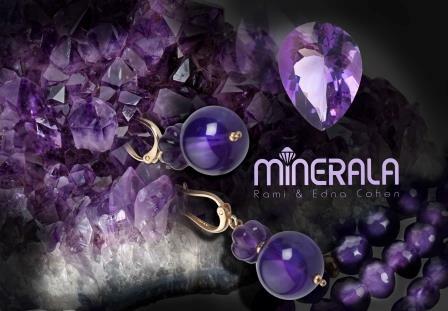 We market gemstones to leading jewelers in Israel and abroad. We offer gemstones ranging from raw materials (as they were discovered in mines) to cut and polished stones and gems of the highest quality. As importers and wholesalers, we offer our products at especially attractive prices. Leveraging on the extensive know-how we have acquired over the years, and our flexibility in matching the most suitable stone and jewelry to each customer, we have opened a store to serve private customers. The store is unique, since it enables each customer to design his/her own piece of jewelry, according to his/her unique taste and style, and select the stones from the variety of stones we offer. In addition, the store also offers off the shelf pieces of jewelry, decorative items and unique accessories, inlaid with gemstones or made entirely of gemstones. 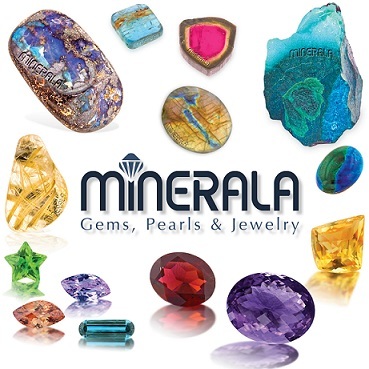 We, the Minerala staff, believe in personal attention and reliable and professional service from the heart.